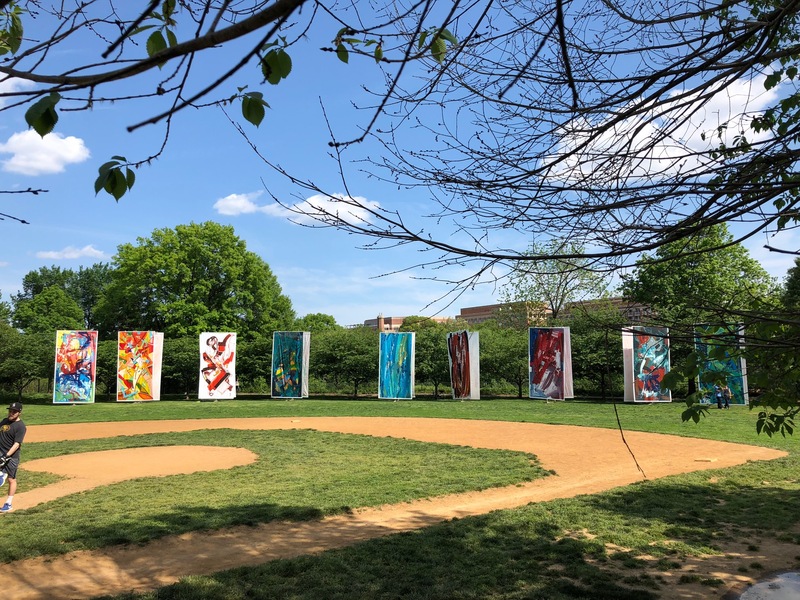 A large scale art installation is currently gracing Rose Park. Now that it is finally no longer raining, it is a good time to go check it out. It will be there through the end of May. The artwork is called “Orange Step” and is by Kiril Jeliazkov, a Washington based artist. It consists of 128 huge 22 feet tall canvases suspended on a series of frames. The way it meanders through the park is somewhat reminiscent of the famous Gates installation by Christo and Jeanne-Claude.